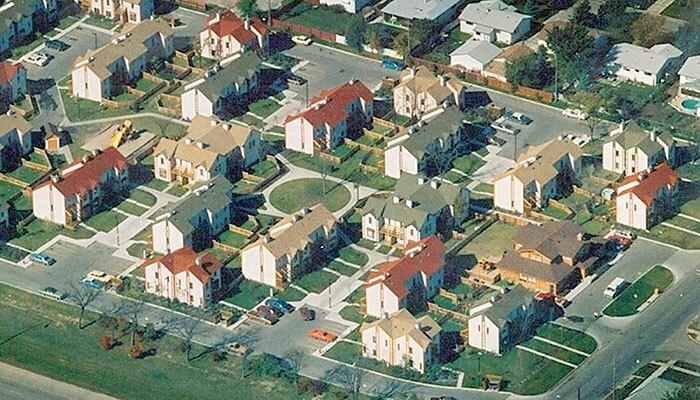 The Lions Gate Family Housing Project provides a comprehensive housing environment for families who by social or economic circumstance are inadequately housed. 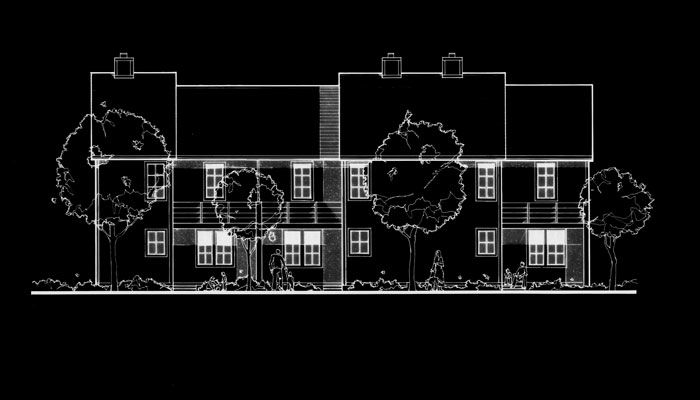 The integration of this housing project into an existing neighbourhood without creating social distinction was a fundamental requirement. 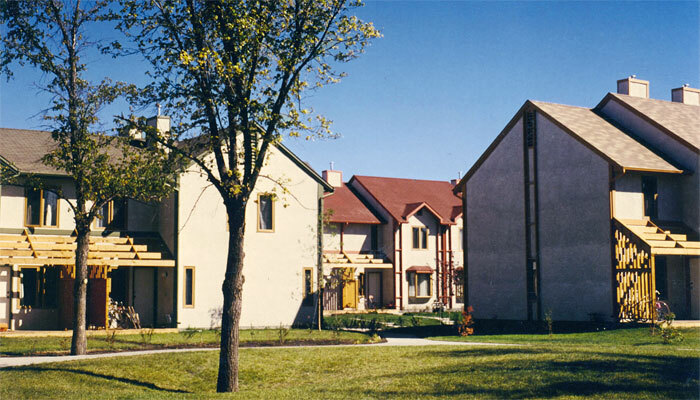 A child day care centre was incorporated into the site design to serve the residents of the neighbourhood. Pre-design issues of site selection, project size, programming, construction economics and community acceptance were addressed early in the project development, providing a strong basis for the design work. The project addressed the issue of affordability through the management and organization of a private non-profit sponsor group. Site organization, unit planning and building mass were primary design issues. The design approach sought to seamlessly integrate the project into the existing surrounding community. The site planning emulates the notion of the street/single family house with a mix of private and public spaces. 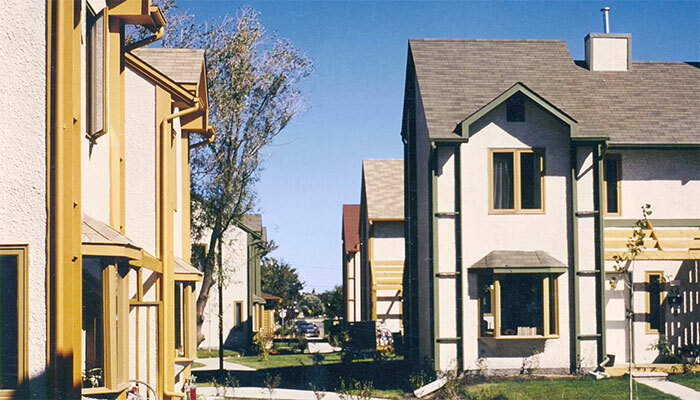 The housing units are oriented to form smaller neighborhood groups to create a friendly, non-institutional atmosphere. Walkability was ensured throughout the site while providing for easy vehicular access.